Hey! Yet another post from my BFF, Pournami. You guessed it right. 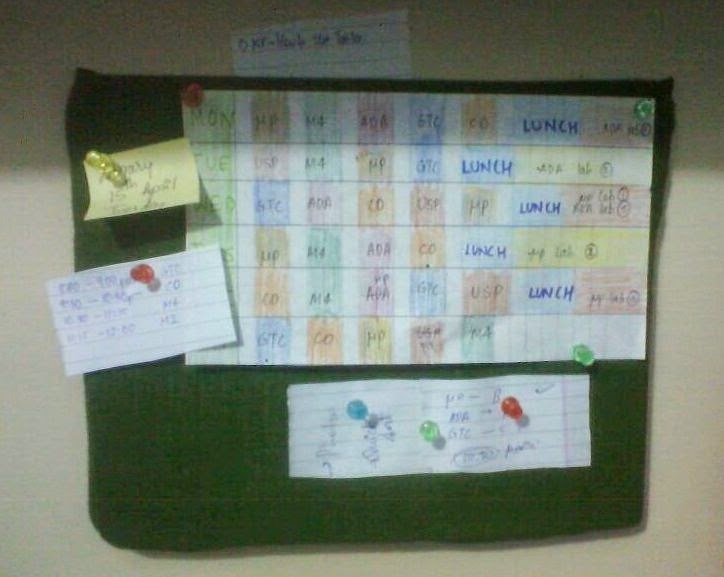 Pin a timetable of your exam or college classes on your notice board for a better life. Here's a blurry picture of what she did. She has color-coded subjects. 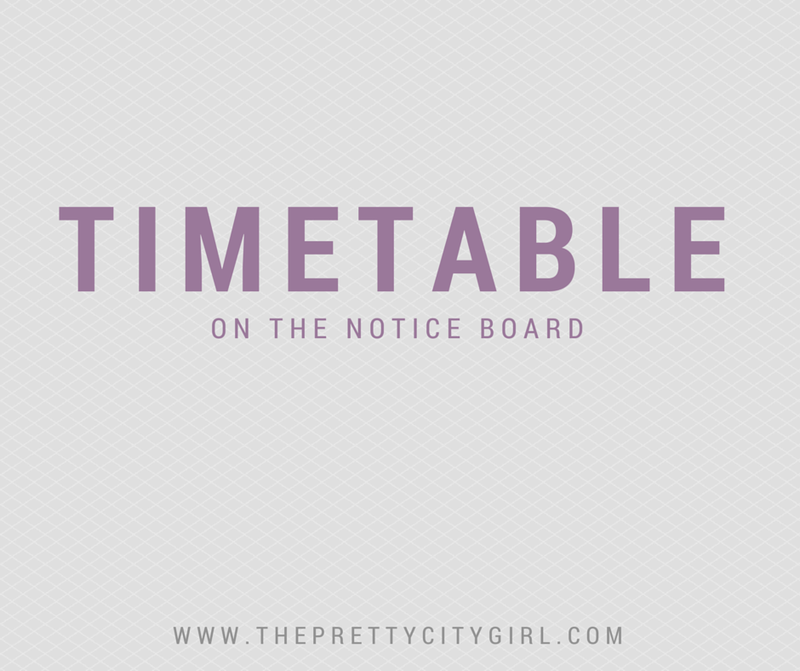 She has also mentioned the lunch timings. You can use similar trick.